The Historian Laureate works closely with the Edmonton Historical Board and the Edmonton Heritage Council, which jointly administer the City’s Historian Laureate program. Marlena Wyman is Edmonton's current Historian Laureate, selected by the Edmonton Historical Board and the Edmonton Heritage Council following an open application process. Marlena Wyman is a visual artist who has made Edmonton her home since 1974. She was born and raised in southern Alberta on her family farm near Rockyford. 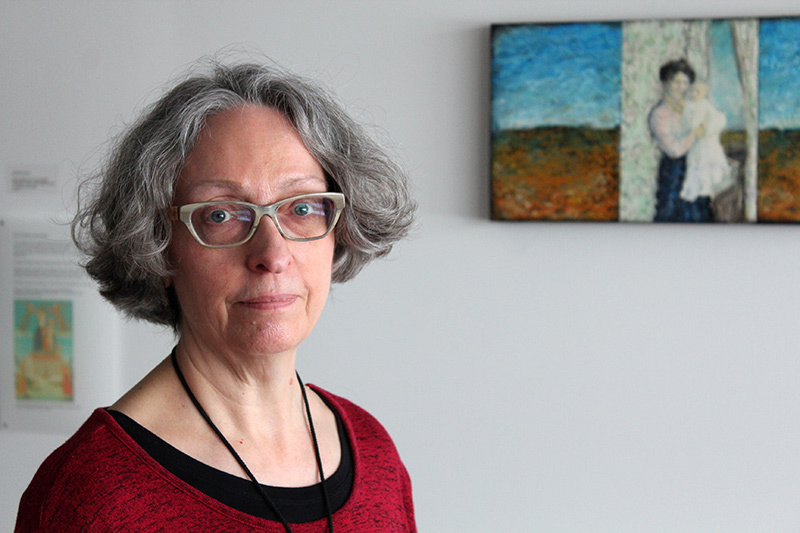 Marlena was the Audio/Visual Archivist at the Provincial Archives of Alberta for 28 years, and her artworks are inspired by her research into archival records. In 2011, Marlena received a Historical Recognition Award from the Edmonton Historical Board for her contributions to archives and visual arts. "I am honoured to be included in the company of the distinguished Historian Laureates who have preceded me: Ken Tingley, Shirley Lowe, Daniel Metcalfe-Chenail, and Chris Chang-Yen Phillips. I will be framing my Historian Laureate position as Artist in Residence at the City of Edmonton Archives. As an archivist, I found that one of the significant gaps in archival collections is that of women's history. Through my art practice, I will shine some light on those and other lesser known stories in the archives and encourage my fellow Edmontonians to help fill the gaps in our historical record."